Countryside homes and large properties tend to provide a greater level of privacy with a few miles between one home and the next one. However, this privacy often comes with a unique security challenge. If you have a long driveway that is not visible from your house, for instance, someone (a visitor or stranger) might enter your property without your knowledge. Whether you want to keep watch or increase security against unauthorized entry to your property, a driveway sensor and alarm might prove to be the perfect solution. These devices will alert you whenever someone or something crosses right in front of where you have installed it. In fact, some of the sensors come with a system that can send you an alert notification to your cell phone while others notify you through the base unit. If you are looking to install driveway sensors and alarms in your home, it is imperative that you install the best there is. Finding the best driveway sensor and alarm, however, might be a difficult task. For this reason, we have reviewed eight best sensors and alarm you can consider installing on your driveway. This wireless driveway alarm is the most versatile and most customizable alarm in this list. It is extremely dependable after being tested for 2 consecutive years through thick forest terrain, gusty winds, hail storms, snow, heavy rains, and scorching sun. With this device, false alarms will be a thing of the past. This sensor and alarm device is also among the easiest to install. It comes with a quick start manual guide that will help you set it up in seconds. It can be expanded up to 16 sensors with an unlimited number of receivers for an entire coverage of your perimeter. 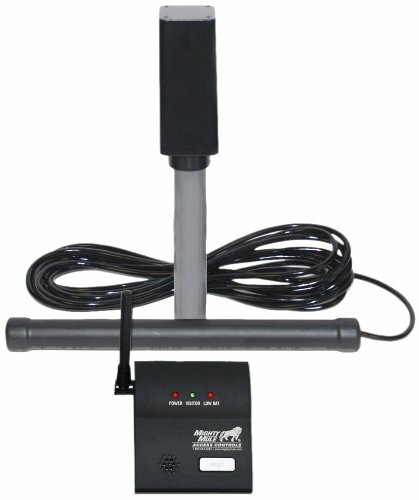 With over 30 unique chimes to select from, you will be able to detect humans, large animals, and motor vehicles. It features a realistic range of ¼ mile that has been tested and confirmed in a real-world setting with buildings, vehicles, walls, and trees in order to come up with a realistic detection range. Thick walls, hills, and metal sliding, however, will reduce the detection range considerably. 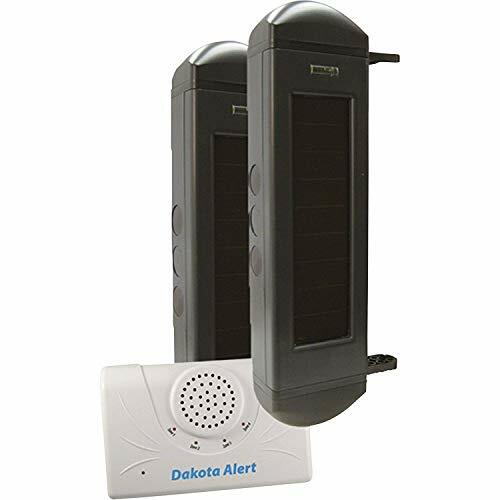 Since this is an outdoor sensor and alarm, it comes with an industrial grade PVC casing with rubberized weather resistant seal as well as a sunshade. You can install this sensor anywhere convenient, and it can run on 4 AA batteries for as long as one year. The receiver comes with features like backup batteries, a loud and adjustable volume, and a 12-volt relay that adds to the external wired alarms. If you are looking to save money and keep your family and property safe from intruders, then this is the driveway sensor to buy. It’s very reliable and affordable to most homeowners. In fact, it comes with excellent features that rival some of the expensive sensors in the market. This sensor and alarm set is easy to install because it comes complete. With the clear instruction manual guide, you won’t have trouble installing and operating it. All you need to do is mount the discreet sensor on a location of your choice with the help of screws that it comes with. Fix the batteries into the receiver and you’re good to go. Furthermore, there is an optional plug-in transformer that you can acquire separately to enable you to plug in the receiver into a regular outlet. This sensor alarm can detect up to 1000 ft range. Moreover, it’s expandable to cover up more areas around your homestead. It features a flashing LED indicator, a volume knob, and a variety of chimes to select from. This alarm is highly reliable because it can detect people, animals, and vehicles. With it, you will keep a hawk-eye on your home and property. This is another reasonably priced driveway sensor and alarm that can secure your property efficiently. It will alert you whenever an animal, person, or vehicle passes through your driveway. One of the best things about this sensor is that it’s super easy to install and get running. It can detect any of the targeted items up to half-mile away – between the receiver and the sensor. This makes it a great option to install in your property. The fact that this sensor is weatherproof also makes it a great sensor since it requires little maintenance and protection from weather elements. The sensor comes with adjustable sensitivity control as well. It can detect up to 120 degrees as an angle of coverage. This sensor comes backed with 2-year battery life and a mounting bracket. The mounting bracket makes it easy to install. This driveway alarm is ideal for those with a large property that they want secured against intruders like big animals, vehicles, and persons. It detects motion in a probe-style by sensing vibrations in the ground whenever heavy things fall, walk past , or drive near the sensor. It comes with a 50 feet wire that is buried, thus making it perfect for large properties. This wire runs underground to a post or tree, thus making it possible to conceal the transmitter while giving a much longer reception distance. It’s powered by a lithium-ion battery that recharges easily through a solar panel. This makes it very convenient because it recharges all day long. This device can transmit a signal up to 2500 feet away. Moreover, you can expand it to different zones in your property for more security. Even though this sensor will cost more as compared to other sensors, if you have a long driveway that stretches a long distance from your home, then it’s worth every coin. This is a wireless driveway sensor and alarm that you can consider buying if you want to keep track of all the intruders be it animals, people, or vehicles that come into your driveway. This sensor comes with a receiver that will alert you with an audible tone whenever an intruder comes to your driveway. This wireless sensor from Mighty Mule is also easy to install. You don’t have to hire a technician to have it installed. When installing the sensor, however, it has to be done near the site so that it can adapt to the locality. Otherwise, it won’t work efficiently. This sensor comes with a host of excellent features such as a functional range of up to 400 feet away. It also has an electromagnetic sensor that only detects large metal objects, thus avoiding alerting you falsely. Moreover, it’s equipped with a low battery indicator on both the sensor and the receiver. Rodann Electronic sensor and receiver is made to alert you whenever triggered. It’s designed to be small and unobtrusive, which means that no one can notice it whenever installed. The sensor runs on 2 AA batteries but the receiver doesn’t have a battery slot. Instead, it relies on a 12-volt power supply to run. The receiver also comes fitted with a LED display that indicates the number of times the sensor has been activated. Even though the sensor has a small detection range, the receiver can be up to 1000 feet away from the sensor. It comes backed with a 1-year warranty, and it is maintenance free. The best thing is that it takes just minutes to install. Hosmart Driveway sensor is designed to be a wireless motion alert that is affordable and convenient as a security system. It’s powered by an in-built lithium-ion battery that is rechargeable using a solar panel, which means that you do not need to replace the battery. The receiver, on the other hand, is powered by the DC5V power adapter. It comes with a quick start manual guide that makes the installation process easy for anyone. It can also be expendable up to 4 sensors with an unlimited number of receivers for total coverage of your property perimeter. The wireless sensor will detect all the movement from cars, big animals, and human intruders. Moreover, it has been tested and can withstand even the most extreme weather elements. It comes with a super long receiving range that make it great to secure a large property. It’s constructed from new technology elements and excellent techniques. It has been tested in real settings such as trees, walls, buildings, and vehicles. Even with this, it easily achieves a 1500-feet wireless range in most of these conditions. 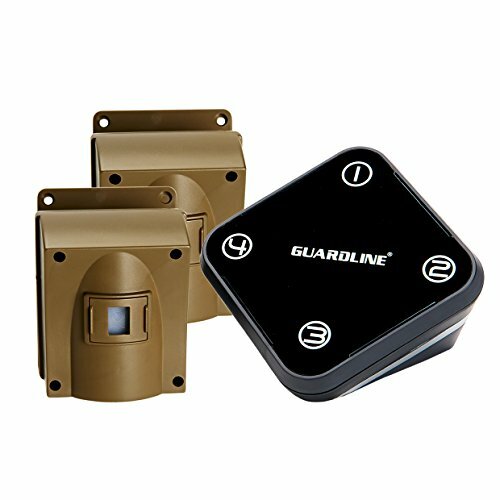 This is an excellent quality sensor and alarm that is made from industrial grade PVC casing and a rubberized weather resistant seal. 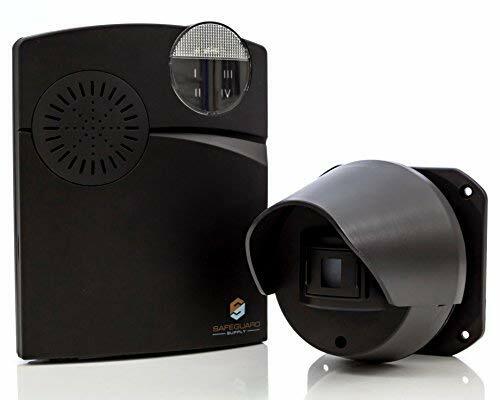 It is accompanied by a reliable infrared outdoor driveway alarm detector that you can depend on to alert you whenever there is an intruder. You can minimize the probability of false alarms by adjusting the sensitivity of the sensor. This is a perfect wireless driveway alarm that you can install to in order to protect your home against intruders. It’s not only easy to install but also easy to use. It runs on an AC adapter and comes with an in-built battery backup that is easily fitted anywhere in your property. It comes with a compact receiver that is simple to program. It uses 30 loud chimes as well as a flashing LED light whenever the sensor is triggered. 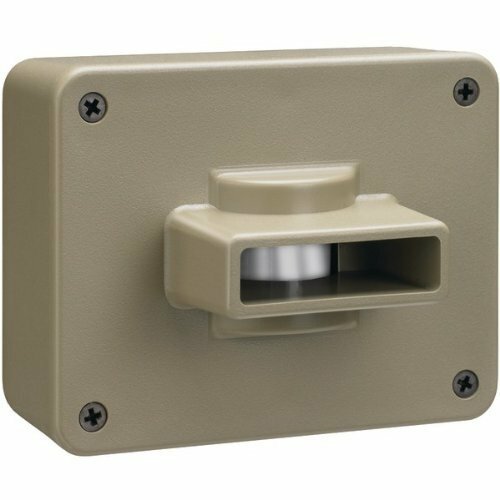 The outdoor sensor is housed in a strong protective casing and a mounting bracket. 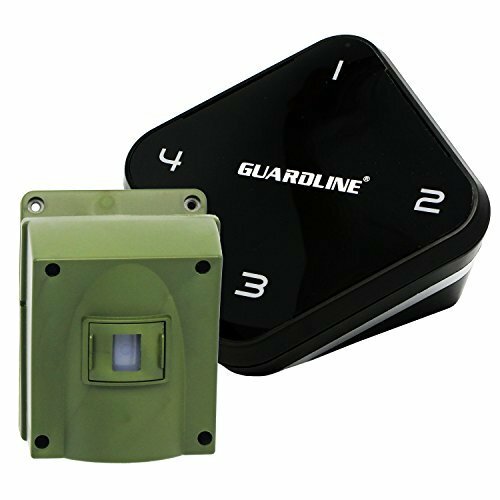 Each receiver accommodates two sensors to offer you dual-zone coverage for your driveway, gate, or property. 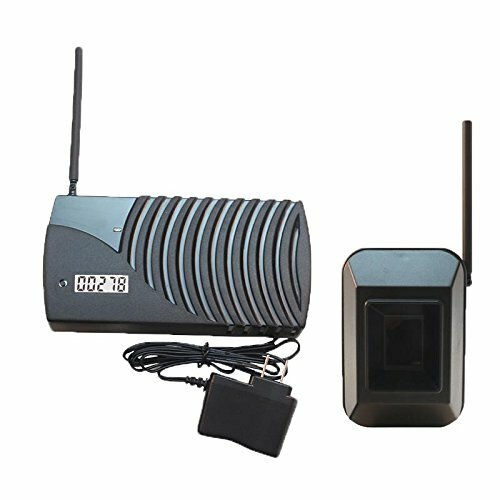 It features a wireless range of between sensor and receiver of up to 500 feet with normal interference such as trees, parked vehicles, walls, and hills. Extreme interference, however, will reduce the range up to 40 feet. With a 2-year warranty, you will enjoy optimal benefits from this driveway sensor and alarm. A driveway alarm sensor is a device that contains two main parts: a sensor and a receiver that you can use to secure your property. This device can help people who own a long driveway or live in the countryside to keep watch on intruders. However, driveway alarm sensors may be prone to false alerts. For instance, squirrels and other animals may trigger the sensors and cause a scare you might not wish to deal with. What are the Types of Driveway Sensors? Passive Infrared – These types of sensors detect motion by detecting different heat patterns, something that make then ideal for detecting humans, cars, and large animals. They are installed above the ground with the line of sight pointing across the driveway. Probe Sensors – These types of driveway sensors are installed by burying wires in the ground to detect metal and vibrations. If you intend to detect motor vehicles that enter your driveway and not animals and humans, then this is the ideal sensor to use. How Do Driveway Alarms Work? Sensor: This component is designed to detect motion. it comes with multipurpose motion detectors that utilize passive infrared technology to detect movement and heat or electromagnetic detectors that are activated whenever cars or human intruders pass by. Transmitter: This component is responsible for relaying signals to the receiver. Receiver: This component alerts you if a signal is relayed by the transmitter. Its notification alert can be customized to make the sound you prefer. Moreover, you can set a pre-recorded voice that will play whenever an intruder comes into your driveway. Who Would Benefit from a Driveway Sensor? The driveway sensor system is designed for different persons to address different needs. If you think someone might tamper with your property outside your house, for instance, then you can install a sensor to alert you whenever someone is inside your compound. Moreover, a driveway system can benefit those with a long driveway leading to their house because it will alert them whenever anyone gets in. This helps homeowners to take action before the intruder reaches the house. Choosing the most appropriate driveway alarm system can take the security of your home to a different level while giving you peace of mind whenever you are at home. If you have been having trouble choosing the best driveway alarm system, then we hope that this review will help you narrow down to the best system to protect yourself.